Our dentists at High Oaks Dental Practice St Albans offer the popular Invisalign clear braces. These are near invisible braces that straighten teeth for adults and children. Invisalign is a U.S. company founded in 2001 and is used globally by dentists. Our dentists have a vast amount of experience in providing this system, with over 7 years of experience and successfully treating 100s of patients. These clear braces need to be worn constantly throughout the day (approximately 20-22 hours per day) and only removed for eating and brushing your teeth. Invisalign is a complete package which straightens the top and bottom teeth simultaneously. 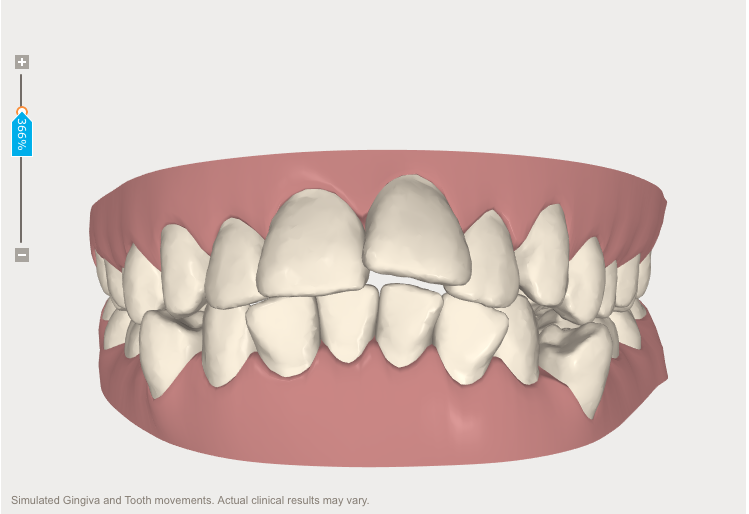 It is the only system which creates a computer designed ‘movie’ called a ‘ClinCheck’ allowing patients to see the predicted movement of their teeth until they are straight. Our Invisalign Dentists in St Albans, offer the full Invisalign product range. 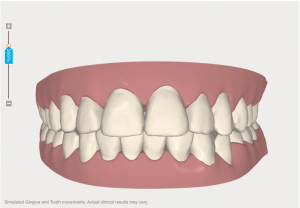 How much does Invisalign Clear Braces cost? Retainers are required after any orthodontic treatment – £150 each. Finance plans are available (subject to acceptance) with upto 12 month 0% interest. Are you suitable for braces? Every patient presents differently and have different expectations. At High Oaks Dental Practice we welcome all patients to visit for a FREE CONSULTATION, where we can assess your suitability and provide all brace options, so you can make the best choice for your lifestyle. No one is too old to have straighter teeth! All risks will be highlighted in our braces pack provided at your initial appointment. We hope you have found our blog useful and informative. If you have decided to have Invisalign clear braces we hope to see you very soon.